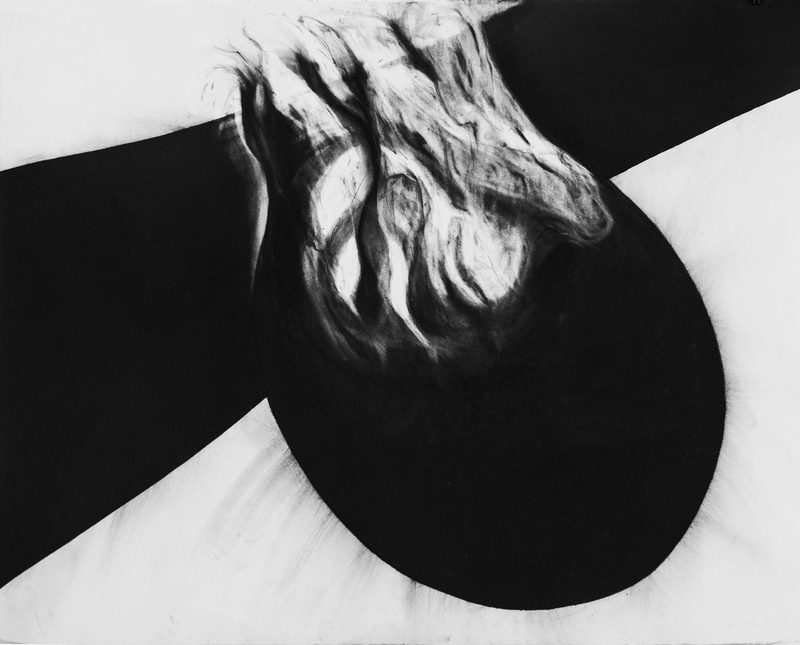 Description: In a dream, I saw large luminous, mysterious drawings of black forms intersecting and overlapping. They appeared to have dimension, depth, movement and at the same time flatness. The surface was flat and fathomless all at once - evocative and unknowable. These dream images became a place to begin this series. They explore the dark, uncharted, dynamic place of becoming - the vibrating space between what is and what is potential. *[Dream] Large Dark no. 1 was recently added to the permanent collection of the High Museum of Art in Atlanta, Georgia and was also shown in the museum show Sprawl! Drawing Outside the Lines Exhibition.